Despite a global recession, the wind energy market has grown exponentially in recent years. GlobalData looks at the facts and figures behind the growth, with a particular focus on gearbox and direct drive systems. Other factors include the decreasing cost of wind power generation and a growing sensitivity towards the environment, and is supported by financial incentives from various governments across the world. The growth of major wind power markets such as these is expected to slow during the forecast period, 2011-2020. Government support in the form of favourable rules and regulations and a speedy approval process drove the Chinese wind market to achieve an annual growth rate of more than 100% between 2006 and 2009. With a share of 12.2% as of 2011, Germany is the largest market in Europe, with a total installed capacity of 29,264.8MW in 2011. Wind is one the fastest-growing energy sources in the world. From an emerging fuel source 20 years ago, wind energy has become a commercial electricity-generating technology in more than 80 countries. Developments in technology have paved the way for more effective and reliable equipment and machinery, which has resulted in growth in the market. Today, the industry employs more than 450,000 people worldwide. The exponential growth of the wind energy market is fuelled by the depletion of fossil fuel reserves, the declining cost of wind power generation and a growing sensitivity towards the environment, and is supported by financial incentives from various governments globally. Wind farms are capital-intensive projects that require substantial investment. These projects can be financed only by large utilities and investment groups. The impact of the financial crisis upon the wind sector has been minimal, because governments across the globe allocated nearly $512bn until 31 March 2009 for the development of the renewable energy sector through green stimulus packages. The Republic of Korea allocated nearly 80% of its total stimulus package to the development of green energy, the highest allocation of the major countries, while China emerged as a global leader, investing around $200bn in green energy. However, major countries are still being affected by the financial crunch, and the subsequent recession has aggravated this situation. Wind power developers have faced the critical short-term challenge of financing projects in the initial stages of development. "Wind power developers have faced the critical short-term challenge of financing projects in the initial stages of development." Global wind energy installed capacity increased at a compound annual growth rate (CAGR) of 26.5% from 74,122MW in 2006 to 240,000MW in 2011, of which 43,370MW came online in 2011. Global wind power markets recovered in 2011 following a 5.1% fall in annual additions in 2010, as major wind markets such as the US, Germany and Spain faced economic difficulties caused by the global recession. China, the US, Germany, Spain and India account for a combined 73.5% share of global cumulative installed capacity in 2011. The growth of major wind power markets such as these is expected to slow during the forecast period, 2011-2020. Emerging markets in the Asia-Pacific, South America and Central America regions are expected to gain considerable market shares. The growth of the Asia-Pacific wind power market, driven by emerging countries such as China, India, the Republic of Korea, the Philippines and Thailand, will continue to drive the market in the region. Countries such as Argentina, Brazil, Mexico, South Africa and Ukraine are some other examples of nascent wind markets that are set to expand rapidly over the forecast period. Against this backdrop, global wind power installed capacity is expected to reach 663,628.4MW by 2020. China’s wind power market is growing at a fast pace, having emerged as the largest wind market in the world in 2010, when it surpassed the US. The country transformed its position in the wind industry from being a mere player in 2001 to being a market leader in 2010, on the basis of strong government support for the industry. The cumulative installed capacity of wind power in China increased from 2,602.8MW in 2006 to 62,364.2MW in 2011 at a CAGR of 88.8%. "Against this backdrop, global wind power installed capacity is expected to reach 663,628.4MW by 2020." Government support in the form of favourable rules and regulations and a speedy approval process drove the Chinese wind market to achieve an annual growth rate of more than 100% between 2006 and 2009. The country installed 13.8GW of additional capacity in 2009, doubling the capacity for the fourth year in a row to 25.8GW. In 2010, China installed 18.9GW of annual capacity at a growth rate of 73.3%, while in 2011 the annual growth rate declined to 39.4%. Supportive government policies, including an attractive concessional programme and the availability of low-cost financing from government banks, are critical for the success of the Chinese wind power market. China is expected to continue to promote wind power in order to reduce its carbon footprint and increase rural electrification. However, the growth rate is expected to slow during the forecast period, as a result of the large installation base, a decline in domestic demand, weak infrastructure, low quality wind turbines, faulty pricing policy and a change of guard in the plant approval process. The US is the second largest wind power market in the world, with a cumulative global capacity share of 19.6% in 2011. It was the largest until being surpassed by China in 2010, following a 49.1% decline in its annual installations. However, the US wind power market recovered in 2011, when annual wind power additions in the country increased by 33.6% to reach 6,807MW. Between 2006 and 2011, the cumulative wind power market in the US grew from 11,476MW in 2006 to 46,987.7MW in 2011 at a CAGR of 32.6%. Key growth drivers in the US market are Federal Tax Credits (FTC), loan guarantees, federal grants, state-level Renewable Portfolio Standards (RPS) and state-level Feed-in Tariff (FiT) programmes, as well as other state and federal support programmes. The growth of wind power installations in the US is expected to remain slow during the forecast period, as a result of the expiry of Production Tax Credits (PTC) for the sector by the end of 2012 and the lack of a long-term support plan. Germany is the third-largest wind power market in the world, with a share of 12.2% as of 2011, and the largest market in Europe, with a total installed capacity of 29,264.8MW in 2011. A capacity of 2,185MW is expected to be installed in 2012, bringing the total capacity to 31,449.6MW. The growth of annual installed capacity in Germany declined or remained constant between 2007 and 2011, because of the lack of available suitable land for the development of wind power. 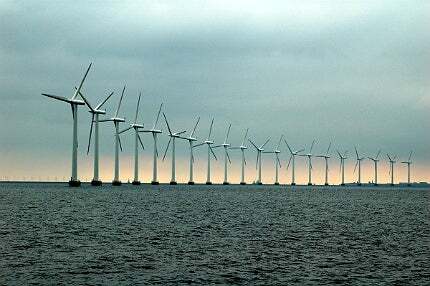 The government has shifted its focus towards the development of offshore wind power projects. Plans to repower onshore wind farms and amend the Renewable Energy Sources Act (EEG) are expected to drive wind power development in Germany. Spain is the fourth-largest wind power market, with a cumulative share of 9% as of 2011. It is the second-largest wind power market in Europe, with an estimated cumulative installed capacity of 21,673MW in 2011. The growth of wind power between 2006 and 2011 was largely facilitated by the lucrative FiT offered to wind power producers as part of the Royal Decree (RD). The growth of the wind power market is expected to slow during the forecast period, as the country has been affected by economic problems following cuts to the FiTs offered for wind generators. The other major wind power markets include India with a share of 6.7%, Italy with 2.9%, France with 2.8%, the UK with 2.5%, Canada with 2.2% and Portugal with 1.8%. The offshore wind market is expected to become one of the major market segments of wind power generation during the forecast period. Offshore wind power installations accounted for 1.5% of the global wind power market in 2011, but are being increasingly explored across the world for their high yields resulting from stronger and more consistent winds compared with those onshore, with scope to construct large, gigawatt-scale projects. China, Germany, the Netherlands, the UK and the US are the biggest offshore wind power markets in the world, with a number of current projects both in planning and under construction. With an increasing number of countries exploiting offshore wind potential during the forecast period, the share of the global wind power market accounted for by offshore wind potential is expected to reach 7.4% by 2020. The global gearbox market increased from an estimated $3.2bn in 2006 to $6.9bn in 2011 at a CAGR of 16.8%. The gearbox market growth is due mainly to the increasing installations that are to be made in the forecast period. The average cost of a gearbox unit is also expected to decline by 2020, mainly because of technological improvements to gearbox equipment. Against this backdrop, the global wind turbine gearbox market is expected to reach $8.1bn by 2020, increasing at a CAGR of 1.8% between 2006 and 2020. "The global gearbox market increased from an estimated $3.2bn in 2006 to $6.9bn in 2011 at a CAGR of 16.8%." Direct drive turbines have been in the wind market for a long time, but have gained increasing popularity in recent times. Enercon of Germany and Goldwind of China are major companies manufacturing direct drive turbines. Enercon uses the annular multiple poles generator, which reduces the number of moving components used. Goldwind uses permanent magnet direct drive technology, where the required generator speed is a great deal lower than that of the doubly fed induction generator (DFIG) system design. This system increases reliability substantially, and reduces maintenance costs. With maintenance time reduced, production time is increased, which provides improved returns. Wind turbine manufacturers such as Siemens and GE are shifting from gearbox turbines to permanent magnet direct drive turbines, largely because of increasing gearbox failures. The share of global wind turbine installations held by direct drive turbines increased from around 18.2% in 2006 to 19.8% in 2011, and is expected to increase to 29.6%in 2020. Winergy leads global wind turbine gearbox production, accounting for a 27% share, followed closely by China High Speed Transmission Equipment with 24.5%. Hansen Transmissions International is the third-largest company in the world with a 12% share, followed by Bosch Rexroth with 5.7%. Moventas and Gamesa account for respective shares of 4.8% and 4.7%. For more details on the Full GlobalData report please click here. GlobalData is an industry analysis specialist company providing business information products and services. Its highly qualified team of analysts, researchers and solution consultants use proprietary data sources and various tools and techniques to gather, analyse and represent the latest and the most reliable information essential for businesses to sustain a competitive edge. Intermittent supply is an ongoing problem for the development of the renewable power market. Demand response, which reduces the use of energy at peak times, is the second step, after smart meters, of the smart energy revolution.